Korean-Australian baby William Hammington might be the youngest member of the ‘Hallyu’ stars list! William Hammington is the first son of Australian comedian Sam Hammington and his Korean wife Jung Yu-mi. The Hammington family is currently appearing on the KBS 2TV show ‘The Return of Superman’ where Sam takes care of his two sons, William and Bentley, alone. 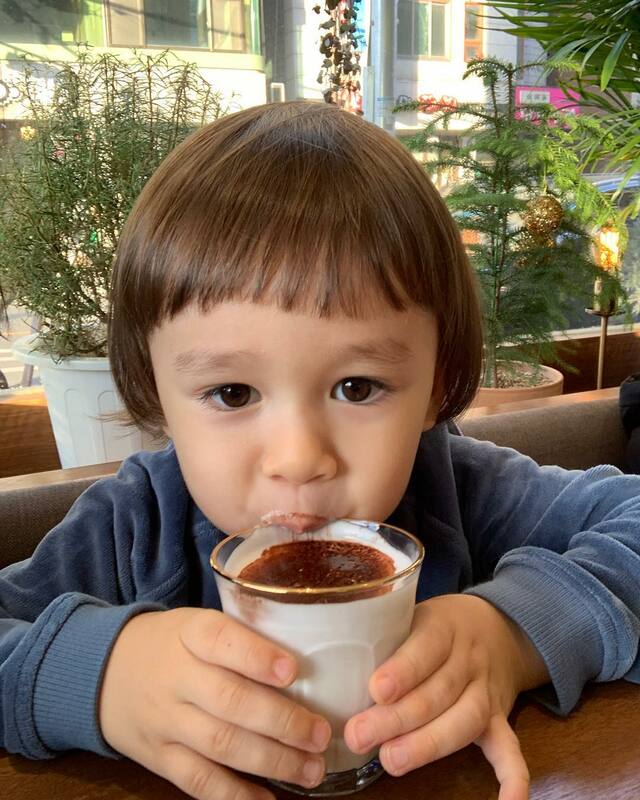 On February 5th (KST), William’s mother posted several pictures of William on his official Instagram. In the pictures, William and his brother Bentley are looking at the camera at the airport. The caption says: “We are vacationing to Bali~ Looking forward to meet people in Bali~~ Happy New Year~~”. Several hours after the post was shared, some fans in Bali went out to the Bali airport to welcome the Hammington family. Below are some of the posts the fans have shared on Instagram.